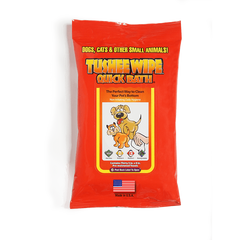 Quick Bath wipes are formulated with effective cleaners that remove bacteria and odors from your pets skin. Quick Bath wipes contain Vitamins A & E and Aloe Vera which promotes an overall healthy skin and coat while leaving your pet clean and shiny. 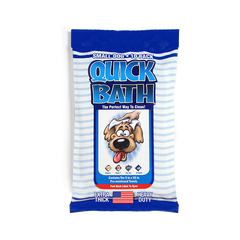 Quick Bath wipes are pH neutral and alcohol free.